April 5, 2010 April 14, 2010 bethanysiggins1 Comment on Copycat Fashion in Action! Well, I have no sooner confessed to all of you how much I enjoy stealing your ideas when I open my May issue of Glamour magazine and stumble upon an idea I must immediately make my own! 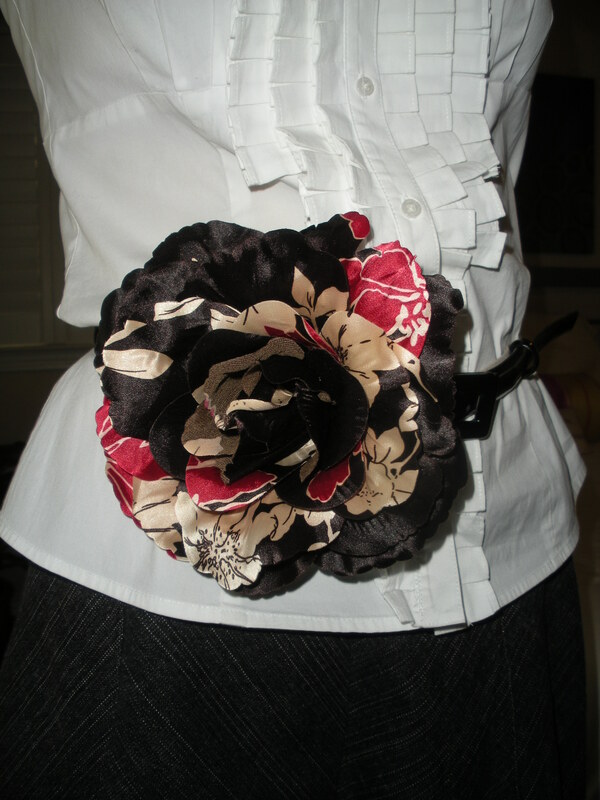 If you have a skinny belt and a flower brooch, you too can make a flower belt like the two I am showing here. Aren’t they fab? I was lamenting the fact I had not worn my flowers much lately, and quite frankly, I was a bit bored with pinning them to my jackets and sweaters. How relieved I am to find a new use for them. Let me know what you think and send me pics of your flower belts! Love the belt up against the white…Very stylish!